This dip is delicious with tortilla chips, sweet potato chips or fries! Cream together cream cheese and mayonnaise. Add sriracha, lime zest, juice, honey and garlic salt and mix until smooth. 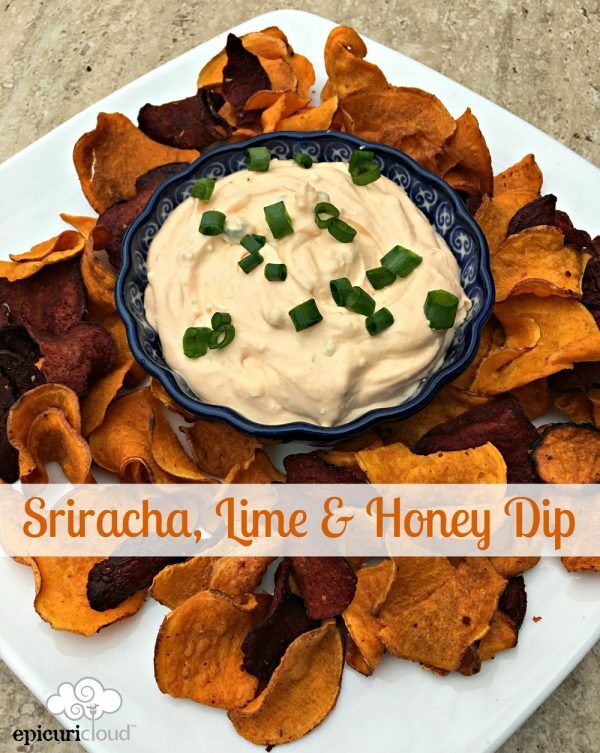 Serve with sweet potato or tortilla chips.